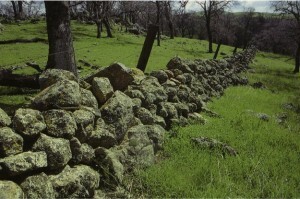 Stone wall from the Sierra Nevada. The top image is from the Sierra Nevada, sent to me as a postcard by a colleague, the late archaeologist Dena Dincauze. The bottom image is from UCONN Forest near Storrs CT, where I have been taking my students for years. 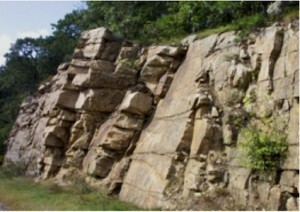 The superficial resemblance between the two is because the three main factors giving rise to wall appearance — lithology, glacial action, agroecology– were similar. 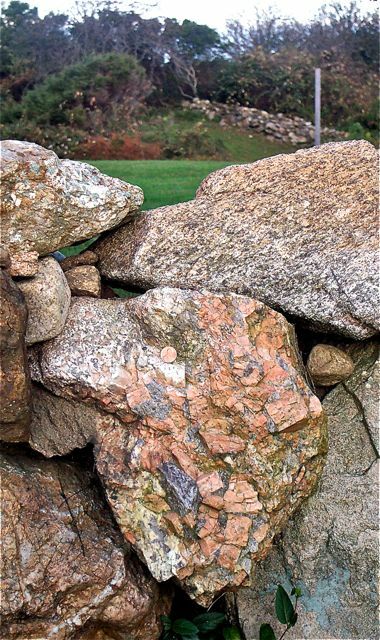 In both cases, stone composed of granite and milled into shape in the glacial basal shear zone were exposed after livestock grazing and moved aside to create the base of an expedient fence. Biologists call this convergent evolution when referring to the anatomical similarity of forms in unrelated taxonomic clades. 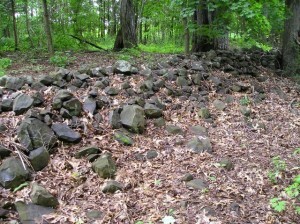 Stone walls form the woods near Storrs, CT.
Below is a gallery, of of New England images gathered to show the range of rock composition and stonework that leads to such radically different outcomes. However, no matter where they are located, walls assume a common form when the three main factors of bedrock lithology, glacial handling, and cultural action are similar. In the process of reading the walls, they become clues to landscape history. 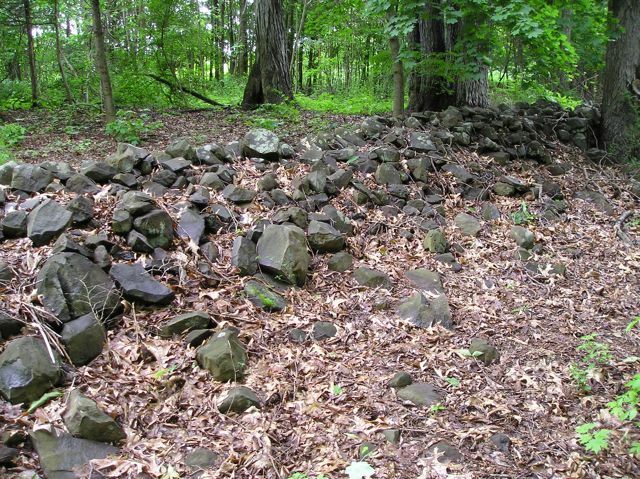 Walls like this occur only where glacial transport of volcanic rock was minimal, and where the stones were merely tossed into place. Walls built of this material (uniform granite) will be made of blocky stones if not significantly milled when transported, and rounded boulders if they were. “Redbed” wall in Avon, CT. The color is due to hematite in porous standstone. In other words, desert rust. True slate is generally limited to western New England and adjacent New York State. 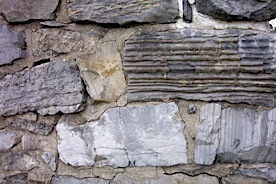 This kind of wall reflects far-traveled glacial material. Walls like this must be from limestone terranes, generally on the western edge of New England to the north. Chimney Point, Vermont at the New York line. Pegmatite granite on Block Island. Because the island is composed of nothing but drift above Cretaceous strata, this obviously came from the mainland.